RSI is a condition where pain and other symptoms occur in an area of the body which has done repetitive tasks (often arms or hands). Treatment includes stopping the task (if possible), improving the work environment, and other measures such as painkillers and physiotherapy. 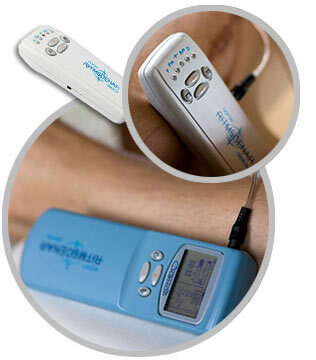 RSI is used to describe a range of painful conditions of the muscles, tendons and other soft tissues. It is mainly caused by repetitive use of part of the body. It is usually related to a job or occupation, but leisure activities can also be a cause. Unlike a normal strain following a sudden injury, symptoms of RSI can persist well beyond the time it would take symptoms of a normal strain to ease. You may also see the term overuse injury. This is a general name for conditions in which the muscles, tendons or soft tissues are used excessively but, unlike RSI, do not necessarily involve repetition of the same movement. What causes repetitive strain injury? The main cause is frequent and repetitive movements of a part of the body. For example, typing, using a computer mouse a lot, etc. Other factors may contribute, such as poor posture whilst doing the movement, using excessive force whilst doing the movement and not having enough breaks from the task. However, the precise reason why RSI develops is not clear. In many cases there is no swelling, inflammation or other obvious problems which develop in the muscles or tendons and yet symptoms develop. Also, it is not clear why some people develop RSI and not others who do the same repetitive tasks. Research suggests that psychosocial workplace factors (which usually means stress at work) can also contribute to RSI. It may be that stress increases muscle tension and/or affects how the body feels pain in general. What areas can be effected with RSI? Symptoms depend on what the repetitive actions are. In most cases the symptoms develop in an arm, wrist or hand, as these parts of the body most commonly do repetitive tasks. In recent years it is computer operators, typists, musicians and people doing repetitive tasks in factories who most commonly develop RSI. People who do a lot of DIY around the house may develop RSI, or people who do certain sports which involve repetitive movements. Common conditions within the RSI family are tennis elbow, golfer’s knee, typist’s wrist, jogger’s ankle, carpal tunnel, tendonitis, bursitis and, more recently, “gamer’s thumb” and “Blackberry thumb”. A lot of people who sit at their computer incorrectly for hours on end, putting strain on their wrists, will encounter RSI. But it is treatable. Symptoms can include: pain, tightness, dull ache, throbbing, numbness, or tingling in the affected area. The symptoms tend to develop gradually. At first the symptoms may only occur whilst you do the repetitive task and ease off when you rest. In time the symptoms can be present all the time, but tend to be made worse by doing the repetitive task. Symptoms can range from mild to severe. With a change in your working practive, i.e. how you support yourself at the computer keyboard, or adapt other repetitive activities, scenar therapy can have effective results with RSI. 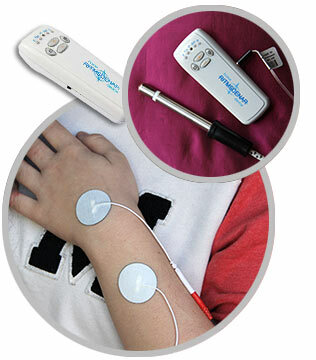 Pain relief can be achieved fairly quickly.